Zenon Konopka does more than just give his team a fighting chance. He's not what one would term wasteful whenever he takes a shift, a hockey player who always makes the most of his ice time. And though he logs far less minutes than most of his teammates, Konopka, in his first season with the New York Islanders, manages to make his mark in some way every time he's called upon. His interpretation of a successful shift? ”Tell me what the score of the game is first,” he laughed. “There are different variables to my game, I suppose. Depending on the atmosphere of the game, my goal might be to win a defensive zone face-off, it could mean sacrificing your body, or it could mean dropping the mitts. It really just depends on the circumstances. Konopka, who is closing in on 120 games of NHL experience, has fought hard, literally, to earn the respect of his teammates, dating back to his days with the Anaheim Ducks in 2005-06. While he's hardly a super heavyweight, tipping the scales at 210 pounds and standing 6'0” tall, the native of Niagara Falls, Ontario, is not the type to back down from a bigger opponent. Taking one, or perhaps more shots, to energize his team or defend a teammate, is fine with Konopka. And his efforts haven't gone unnoticed. Former Tampa Bay Lightning teammate Vincent Lecavalier had plenty of praise for Konopka during their time together in Florida. While it was all of 81 games, Tampa's captain appreciated what he brought to the rink. Konopka, after three minor league seasons with various teams in the ECHL and AHL, made his NHL debut in 2005–2006, playing 23 games with Anaheim. That he has made it to the NHL is a great story in itself. A veteran of over 500 games in the minor ranks, Konopka returned to the AHL in 2006-07. On January 26, 2007, he was traded from Anaheim along with Curtis Glencross and a draft pick to the Blue Jackets in exchange for forwards Mark Hartigan, Joe Motzko and a draft pick. Since then, Konopka has suited up with Columbus' farm team in the AHL, the Syracuse Crunch, with occasional call-ups to the Blue Jackets. On July 10, 2008, he signed a two-year contract with the Tampa Bay Lightning. An eye-catching training camp earned him a roster spot for the 2009-10 season. Yet he hasn't forgotten his days in the minors. “It's funny,” he admitted. “We had that tough loss in Washington (2-1 on October 13) and we played really, really well. We were on the plane dissecting the game and I was talking with PA Parenteau, who I played with in the minors, and the discussion turned back to the those days. Konokpa's father would certainly be proud of the overtime he put in to make it to the bigs. “My dad passed away suddenly when I was 13,” recalled Konopka. 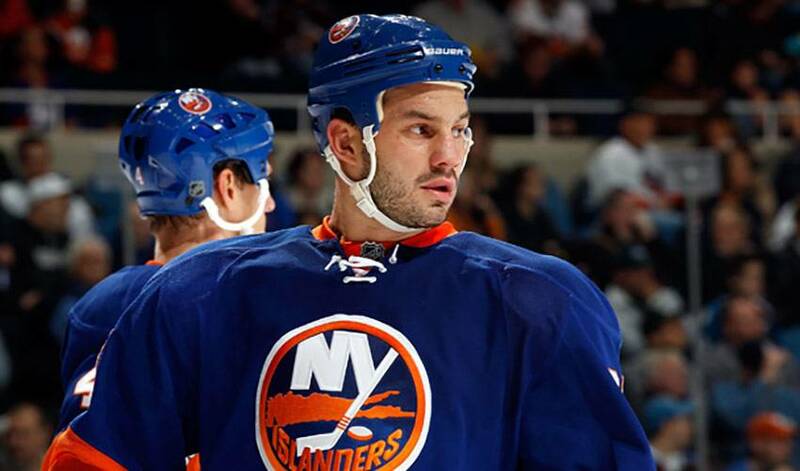 Konopka will look to do the same with a young group of Islanders eager to make a splash in the Eastern Conference.